Worried About Your Back Pain? Take control with MDT. Have you ever been scared to move because of back pain? Did you go to the doctor and been told to simply wait it out? Or to take an anti-inflammatory for a few days and “take it easy?” If you clicked on this blog, you are likely one of the folks that are frustrated with this advice. The general medical assumption has been that most low back pain dissipates naturally within three or four weeks as part of its natural cycle. While this may be true in a some cases, the mounting costs of low back pain–which is now the leading cause of disability in the world–has led researchers to search for more effective methods of care. For most patients, we now know that early intervention with physical therapy can help reduce the need for expensive MRIs and injections down the road (Childs J et al). But how can we determine which patients would likely benefit? 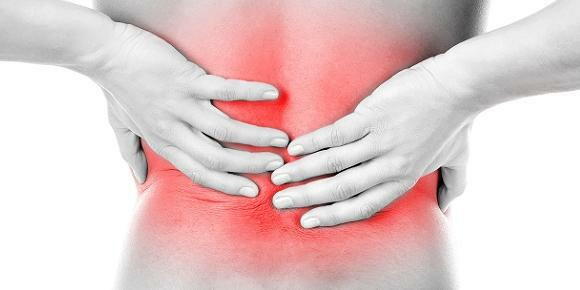 How do you feel about your back pain? We were interested in finding a way to predict how well patients will do with our treatments. How? By examining not only their physical symptoms, but their mental and emotional states as well. At J.O.Y. Physical Therapy Inc., we primarily utilize a method called Mechanical Diagnosis and Therapy (MDT). In addition, we can understand how hopeless or fearful your may feel about your back pain by the score of your coping questionnaire from FOTO (Focus on Therapeutic Outcomes). Even better yet, we can show you safe movements and positions that have a therapeutic, or in other words, positive effect, on your back pain. This can reduce your fear, as demonstrated by a reduction in your coping scores over the period of time you are treating your back with us. This was also demonstrated by a group of MDT therapists and researchers from around the world (Werneke et al, 2017). Why does your mental or emotional state affect your healing? We don’t understand the exact biopsychosocial mechanism that decreases your physical healing abilities. There are some theories that if you don’t believe you are safe to move, and therefore you avoid movements, the tissues in your body will demonstrate abnormal healing properties, such as excessive or abnormal scar tissue adherence or growth, etc. There are others that believe the musculoskeletal system is negatively affected by stress in similar ways to your blood pressure, heart rate, etc. Reduced the likelihood for expensive and often unnecessary doctor visits, MRIs, injections, etc. Come and experience less pain for less cost at www.joy-pt.com or call 651-800-MYPT or www.mckenzieinstituteusa.org to find a MDT Provider near you.